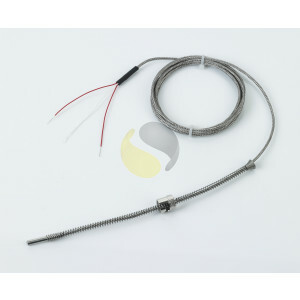 Adjustable bayonet resistance thermometer for plastic extruders and extrusion machinery. 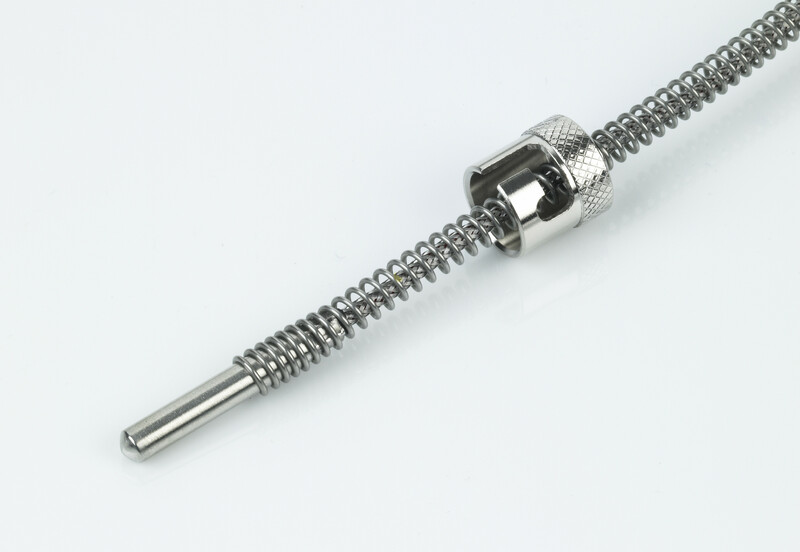 Spring loaded bayonet resistance thermometers have an adjustable threaded spring which is 200mm long with either a single slot 11.5mm I.D fixing cap or a 12.5mm I.D double slot fixing cap to ensure a positive contact within the machine recess. 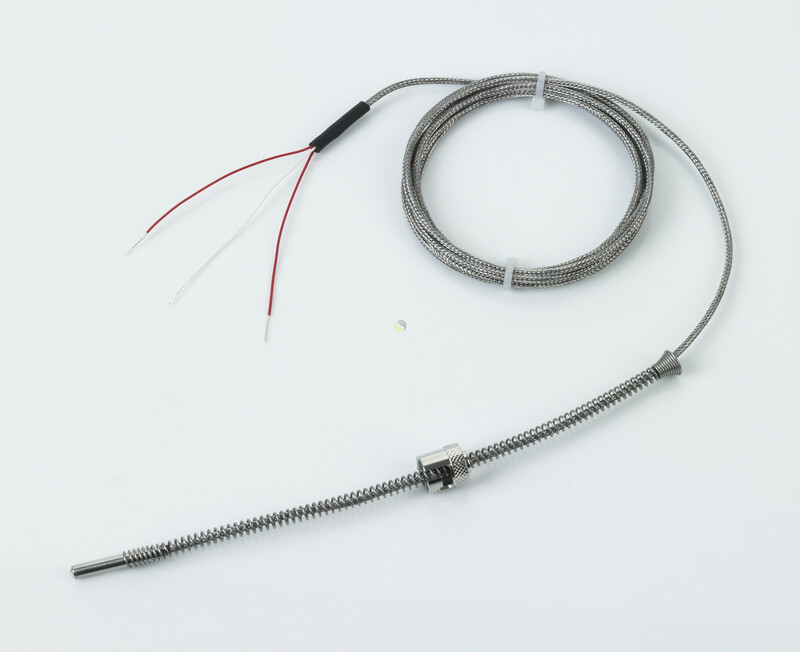 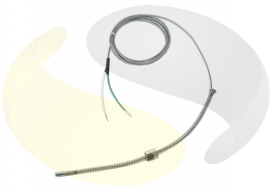 The 3 wire Pt100 RTD is available in Class A or B and housed in a 4.7mm (3/16”) or 6mm diameter stainless steel tip with a 2 metre glass fibre, stainless steel overbraid lead wire.